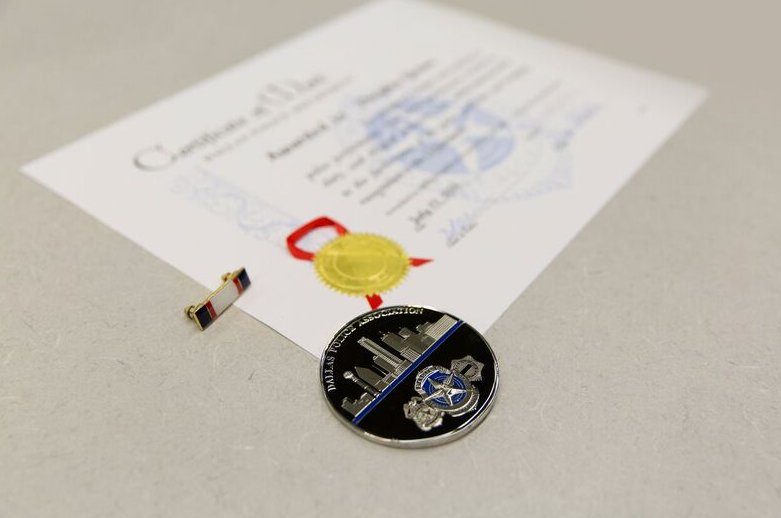 ← Critical Missing Person – Clarence Ellis Jr.
Dallas Police Assistant Chief John Lawton and Deputy Chief Lonzo Anderson traveled to San Antonio this week for a special award ceremony. 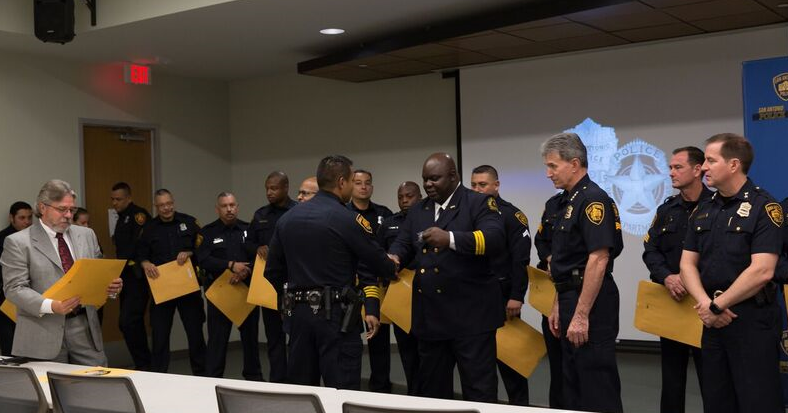 Last year when tragedy struck our city on July 7, 2016, without being asked, thirty-three officers from the San Antonio Police Department came to Dallas to provide assistance. The San Antonio officers immediately jumped into squad cars with Dallas officers and helped answer calls, provided traffic control for the funerals of the fallen officers, and provided a shoulder to lean on for several Dallas officers who were struggling to cope with the tragedy and still show up to work every day. 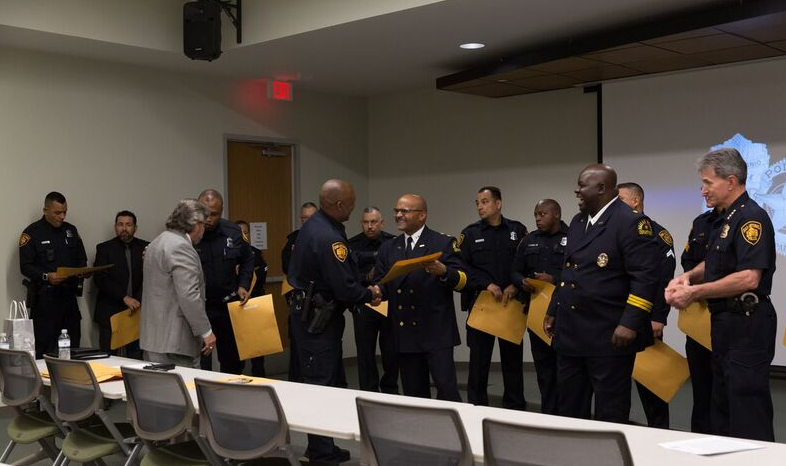 Assistant Chief Lawton and Deputy Chief Anderson awarded these 33 San Antonio Police officers with a Certificate of Merit for their service to the Dallas Police Department and the City of Dallas during what could arguably be considered one of the most difficult weeks for our city and department. We can never say thank you enough to our community and our brothers and sisters in blue who showed us so much love and support during such a tragic time. We would have never made it through without you. Thank you again!